The Fantasy Football provides the best free football experience with over a million registrations in 2006. Hosted by the official Premier League Website, one can build his or her own private league where they play by their own rules, at the same time creates a well-balanced football game experience. It incorporates a wide variety of features; from differentiation in scoring points to “wild card” opportunity that allows managers to start from scratch in a well-balanced game thus creating a “real” fantasy. Fantasy Soccer Manager also provides a wide variety of support through website statistics, live scoring updates and injury news which is unmatched to any other premier fantasy football game. You to manage 15 players from where you can pick 11 for each game week. One can choose to swipe players, but at a cost of 4 points per transfer with a single transfer in a week. Despite the restrictions, there is an opportunity to use the wildcard to make as many transfers as you want in a game week to alleviate the ineffective initial lineup or gain an advantage over your rivals in the private league. As a fantasy Soccer Manager, your team of 15 for a cost of 100 million from which you choose 11 to play in a game. However, in your absence, your lineup and formation will change so as to maximize the number of players that play in a game. Scoring in premier football fantasy is non-customary, but straightforward at the same time. Initially, a player gets 2 points for appearing in the field, 3 points for providing any assists. 4 points are given when a forward scored a goal, while keepers, midfielder, and defenders get 6 points. As for clean sheets, goalkeepers and defenders get 4 points; midfielders obtain a single point. The top three performers additionally get bonus points plus the points assigned from the captain are doubled each game week. The MSL Fantasy Soccer Manager is a free Fantasy football experience. It is easy to set up a private league, and one can shift to any private league with one team. It plays a big role in marketing strategies with a fluctuating player value in a team. By automatic substitution, casual players stay in touch. With a well-balanced scoring system that integrates with a highly effective statistical support and live score updates, a manager has invaluable information to upgrade his or her squad. MLS fantasy Soccer Manager provides free mid-season national knockout competition and free Head to Head League. Moreover, it deters multi-entrant managers. 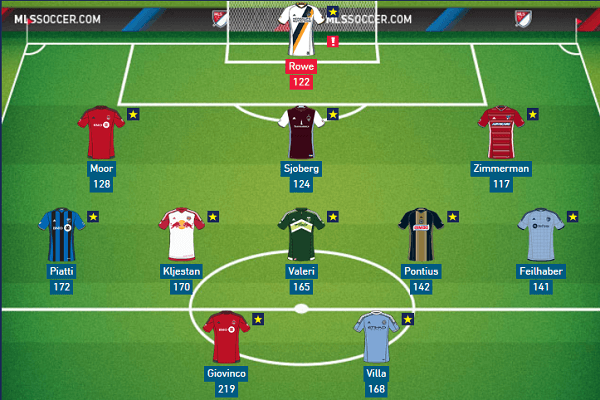 There is no cash prize to be won in MLS fantasy Soccer Manager. Though offered, the bonus point system can be actually frustrating. The wealth of information provided makes it easy to find gems, which can hinder a real football experience. Tinkering can be somewhat advantageous to your team. For example, signing up Drogba and watch is demand grow among managers as the score more goals. However, if he fails to do business, managers may get anxious to buy him at a costly price, and eventually his value drops down. Therefore, one needs to apply strategy not only in the game but also the business that is involved in it. You need to analyze the fluctuating values of your players this increase the value of your squad considerably. The wealth of statistics can be overwhelming to the new Fantasy Football player but with time considering basic analytical skills, the player eventually finds it easy to obtain gem. In 2008, Fantasy Soccer Manager introduced a Head to Head League competition. This provides all new managers to compete with 19 other managers in a random league. Each week your team is paired with rivals side creating a total of 38 home and away matches. A team wins 3 points for a win, 1 point for a draw. This creates competence in your private league as well as increasing your Premier Fantasy Football experience. Bonus points can both baffle and annoy a manager as well. The best players can be awarded with 1, 2 or 3 points in each match. This can be random as well as dodgy. Players such as Fabregas are more likely to obtain these points even if half a dozen other players deserve more points in a match. This can be quite frustrating for managers who know how to operate their players. 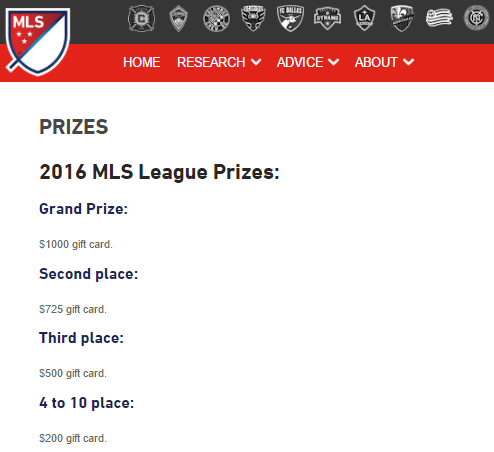 Because of lack of prize money in MLS fantasy Soccer Manager are usually ticked off. A manager is registered with only one team. Their variety of statistics can overwhelm the player at first, but with time and a basic analysis, one finds it easy to obtain good players especially with the wildcard option. This can make it too easy for a manager to set up a credible squad in one game week. Information about a player’s injury or suspension is available, but it can pose a challenge for those spotting a bargain. Therefore, top MLS fantasy Soccer Manager has to be on the edge to stay at their game. A manager has to assign a captain each game week, and scores by that player double. Tips on how to attain high points through this differs with a manager who would like to keep a dedicated player such as Ronaldo for weeks or tinkering so as to obtain a more formidable player. Awarding more bonus points to players such as Fabregas compared to more deserving players in a match needs to be addressed. The Original League would award such points to the most dedicated player who invests time in their team. Especially with valuable information that can improve the casual player and maintain their interest in the entire season. 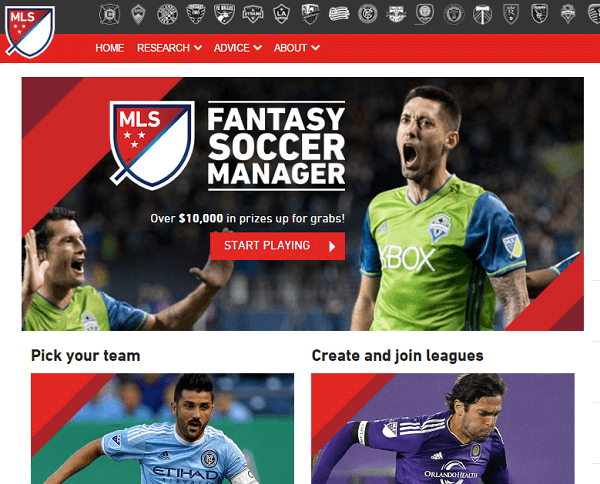 On an overall perspective MLS fantasy Soccer Manager provides the best free football game experience. A single squad can play a number of private leagues. The new Head to Head competition also makes the best game of choice.